A fantastic aspect of fishing around South West Rocks is the variety of locations on offer! And the great thing about our Contender 25T vessel is we can visit all of them. No fish is safe.. The continental shelf runs close in to South West Rocks and is only about 12 nautical miles off Laggers Point. As you can imagine this steep drop off creates upwellings and pressure points that attract bait, which in turn bring in large predatory Game Fish. Yellowfin tuna, blue marlin, striped marlin, wahoo and dolphin fish all frequent this area during certain times of the year. Deep purple blue water holds many secrets and you just never know what will turn up riding the powerful East Australian Current – so keep a look out for flocks of birds, flying fish and floating logs.. There are multiple FADs (fish aggregation devices) also within reach which often hold masses of dolphin fish and other ocean wanderers. If you are interested in the above then Game Fishing Tours are the best option. 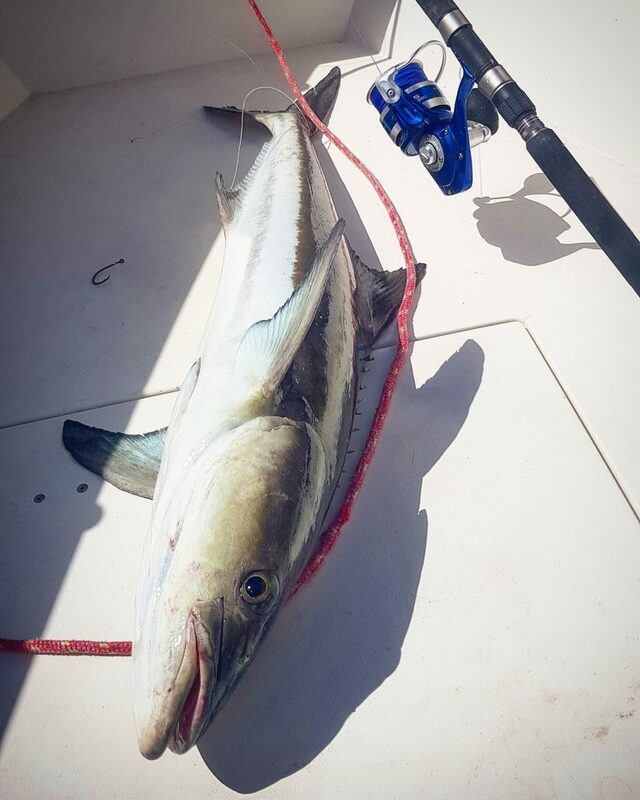 The near shore sport fishing area straight off South West Rocks known as the ‘Gaol Grounds’ is famous for it’s runs of black marlin, wahoo, dolphin fish and cobia. When the current is favourable (generally some time after Christmas each year) large oceanic predators are caught within a few hundred meter of the rocks. The reefs in 30 to 80 meters are scattered throughout the region between Nambucca Heads in the north to Hat Head in the south. There is also a few ship wrecks that fish exceptionally well when the current allows. All kinds of tasty creatures call these areas home including mulloway, pearl perch, pink snapper, nannigai, tuskfish and teraglin to name a few. Above this structure often yields kingfish as well as the odd sampson fish, longtail tuna, spotted or spanish mackerel. On the sloping drop offs between structure are good supplies of flathead which are great eating and rarely disappoint. We use a mixture of techniques from jigging metal and soft plastic lures, trolling and casting hard bodies, live and dead baits. Every method has it’s pros and cons – the main objective for me as a tour guide is that everyone has the best chance of landing fish, and has fun while doing so! Dotted around the Smokey Cape area are 3 larger islands being Fish Rock, Black Rock and Green Island. These locations are zoned marine parks due to their population of grey nurse sharks – meaning no bait fishing is allowed. Fish Rock sits out in the main current pushing along the headland and rises abruptly from 30 meters of water. It is incredibly fishy as it’s name implies with a massive population of kingfish in year round residence. The open ocean slams into it’s shear rocky faces boiling and churning, creating large up wellings and current lines. Turns and shearwaters circle over head waiting for baitfish to flee the waiting hoodlums, who rarely miss out on a feed. The other islands and small rocky outcrops also hold good fish, but as with any hot spot, being there at the right time is key! Along the coastal fringes are rocky points, gutters, reefs and bommies. The coastal reefs are substantial and generally within easy reach, allowing plenty of fishing time and options. Spanish and spotted mackerel move along the coastal grounds and current breaks. They often turn up in mass after Christmas time, but feed best when the currents push warm water in close. The speed of these toothy pelagic predators is something to behold and there is no mistaking that first howling run and thrashing head shakes. Mulloway (jewfish), cobia (black kingfish), longtail tuna (northern bluefin) and reef species like snapper are often in the same areas feeding underneath the macks’. Floating an unweighted bait or jigging a soft plastic through to the bottom can be deadly. Try Full day or Half Day Sport Fishing tours for the above locations. Estuary fishing in the Macleay is famous for producing large mulloway, flathead and at times kingfish and cobia. Huge quantity of bait species such as herring, mullet, chopper tailor, white bait and garfish all call the river home. They attract many different predators who either live in the channels, or come in and out from the ocean with the tides. ‘Bread and butter’ style fish like bream, trevally, whiting, cod, dart and mangrove jacks are also in numbers throughout the system. Weed beds, rock walls, deep holes, junctions, bridge piles, channel edges, banks, feeder creeks and mangroves are some of the great habitat that forms this renowned river system. Casting soft platics, vibes and hard bodies produces results as does live bait and fresh cut bait. We try to do a mixture during estuary tours, as the fish react differently at certain stages of the tide. This area suits folk who love estuary fishing, would rather fish calm water or would like to experience the Macleay up close. And when the weather is too rough outside we always have these areas to fall back on, it’s not a bad plan B! We run both Full Day and Half Day estuary charters depending on your time and budget. 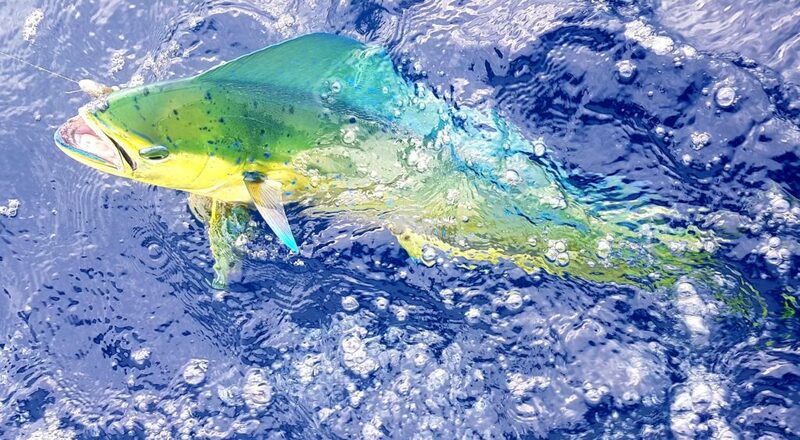 We run multi day fishing packages that can allow for a mix of estuary, offshore sportfishing, reef and gamefishing experiences within the single booking. These take out the hassle of organising all the behind the scene details yourself. 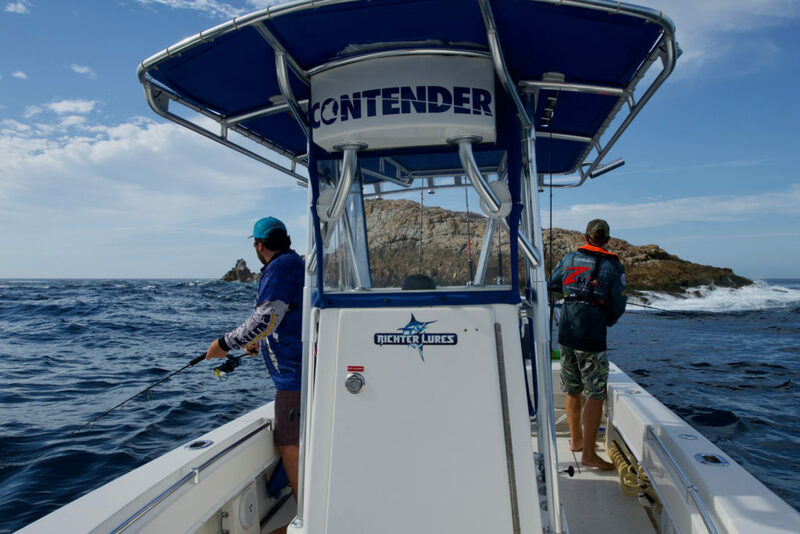 Get on board for a South West Rocks sport fishing charter today!